In your browser, go to http://ClassicShell.net. If your computer asks for your password, enter your password to let Windows know you’d like to proceed with Opening the installer file. Now click through any on-screen prompts, by clicking “Next“, “Yes”, “I agree” or whatever other prompts it may ask during the install process. After the Classic Shell program installation has finished, click the start button. You should now see a Windows 7 Start Menu in place of your crappy Windows 8 Start Menu. Voila! 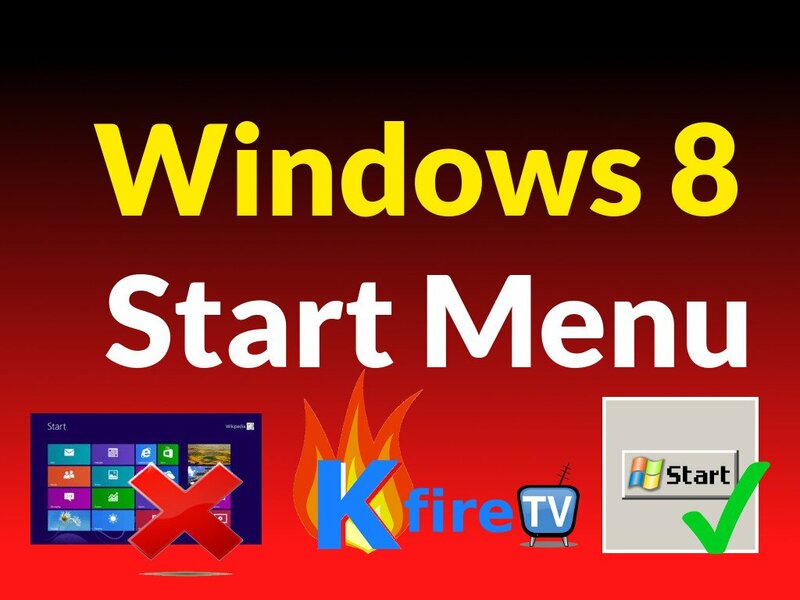 In addition to the default start menu functionality (which is based on Windows 7 Start menu), you can go to Programs > Classic Shell > Classic Start Menu Settings. Then change any options you see fit. The reason for Microsoft’s decision to include the “Start Screen” in Windows 8 as opposed to a Start Menu is because of the release of Microsoft Surface tablets, which coincided with Microsoft’s release of Windows 8. So Micro$oft decided to put Windows 8 on it’s Surface tablets, which they thought would work well with a Start Screen instead of a start menu. Sure, this might be okay for tablets, but what about the millions of people using Windows 8 on their PCs? For us, thankfully, a third-party software creator has solved this issue with the Classic Shell program (install steps mentioned above). The Single column option is exactly that: One column with all your Start Menu inside. Two column gives you programs and recent apps on the left column of the start menu, and “control panel” type items on the right column of the menu. Windows 7-style is essentially an enhanced two-column menu, with a file browser / explorer-type panel in the left column and a standard control-panel assortment of options in the right column. We suggest Windows 7-style for the best productivity speed. Server counterparts such as Windows Server 2008 R2, 2012, 2012 R2, and Windows Server 2016. Use the same installer file for all versions of Windows! Class Shell is not compatible with Windows RT. Enjoy the “retro” start menu! I know I do. What other apps do you know of that can make Windows look / feel better? Let us know on the KFire YouTube Channel.